Check out the latest East Texas weather forecast from the CBS19 Weather Team. TYLER, Texas — Many locations in East Texas saw over 3 inches of rain Wednesday evening and several places, including at the CBS19 studio off the loop saw over 4 inches. The heavy rain prompted multiple flash flood warnings and flood advisories. Many roadways could still have standing water and possibly still damaged from last nights rain, so be extra cautious on the roads Thursday morning. Remember to turn around, don't drown, it is just not worth it to save a few minutes. Rain showers will clear out overnight and any chance for thunderstorms will be over before the sun comes up. The winds will be a bit brisk out of the northwest around 10-15 MPH. Lows tonight will dip down to around 60°. Temperatures are expected to be in the mid to upper 70s with decreasing clouds during the day. By the early evening hours, we should see plenty of sunshine across East Texas. The winds will stay out of the northwest around 10-15 MPH most of the day. By Thursday night, the winds are expected to begin to weaken. Expect sunny skies with a high temp near 80. The winds should stay calm most of the day as high pressure will move right over East Texas. By Friday night, the winds should start to come more out of the south. Both weekend days look warm and each day highs should climb into the low 80s. Winds should be light and out of the south both days. The latest model runs are showing a few more clouds and even a very slight chance for a passing shower or two on Sunday, but most of us will be dry. Saturday though, still looks mostly sunny and dry, so make some outdoor plans this weekend, it is going to be fantastic! Do you have a weather report or pictures you would like to submit to the CBS19 Weather team? 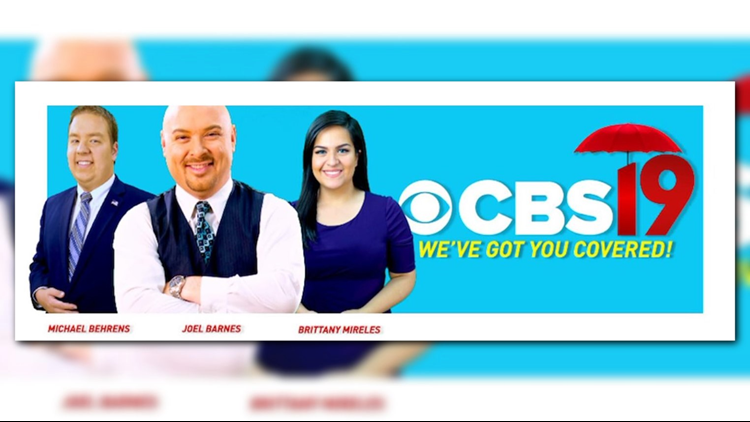 You can email news@cbs19.tv and visit our Facebook or Twitter pages.